Welcome to AMPLE Electronics, your one stop solution for your TV Repair & Service needs in State of Maryland in following counties (Baltimore City, Baltimore County, Howard County, Carroll County, Harford County, Northern Anne Arundel County & Northern Prince George's County). We always had different approach to our clients then our competitors, that only benefits you. 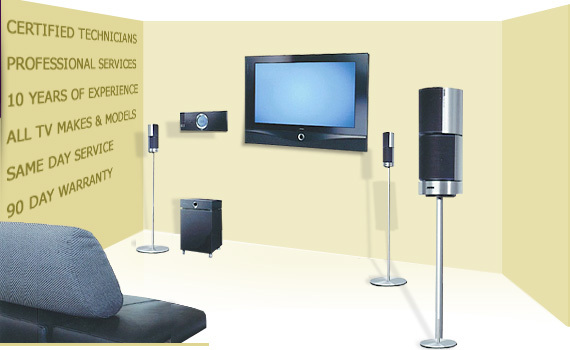 We always sent real technician for any in-home TV service request and not a sales person. Our entire business process is completely computerized, what maximized unnecessary expenses and give us ability to provide you service with reasonable prices. We are recognized and certified company by different organizations and associations.